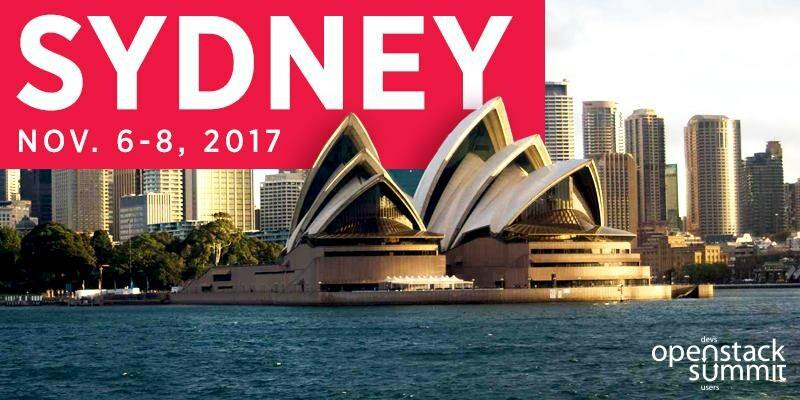 The next OpenStack Summit takes place in Sydney (Australia), November 6-8, 2017. The "Vote for Presentations" period will end in less than a day. All proposals are still up for community votes. The deadline for your vote is will end August 3th at 11:59pm PDT (August 4th at 8:59am CEST). Vanilla vs OpenStack Distributions - Update on Distinctions, Status, and Statistics - One year ago in Barcelona we have taken a look behind the curtain of OpenStack Vanilla and the products of the four major OpenStack distributions. Let’s have an update and deeper look into it. You have the agony of choice if it comes to the question: Vanilla or an OpenStack distribution. It will highly depend on your usecase, technical requirements, resources and organization. This presentation will not only highlight differences between these choices but also between the distributions and their offerings. There is more to take a look at than only the OpenStack product itself as e.g. different hypervisor, Ceph, the base distributions and support. This time we also include new topics like SDN, NFV, Container and Managed Cloud. And for sure we will have a lot of new and updated statistics on community contribution and market share. This talk will cover besides Vanilla also at least RedHat, SUSE, Ubuntu/Canonical, and Mirantis OpenStack. As always: every vote is highly welcome! And don't forget to search for other interesting proposals around Ceph, NFV and OpenStack as e.g. the presentations from Florian Haas .